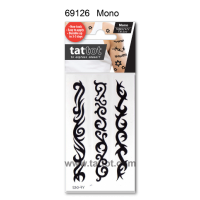 Adult Temporary Tattoo - Mono Chic #69576 Feature: 1. Non Toxic & sa.. 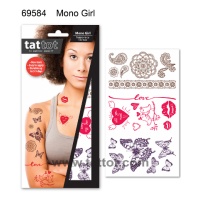 Adult Temporary Tattoo - Mono girl #69584 Feature: 1. Non Toxic & saf.. Adult Temporary Tattoo - Mono Man #69585 Feature: 1. 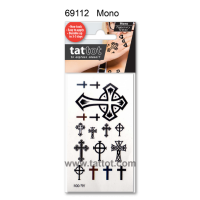 Non Toxic & safe..
Mini Adult Temporary Tattoo - Mono #69112 Feature: 1. 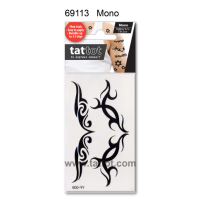 Non Toxic & safe (Co..
Mini Adult Temporary Tattoo - Mono #69113 Feature: 1. 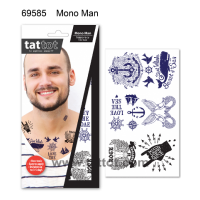 Non Toxic & safe (Co..
Mini Adult Temporary Tattoo - Mono #69126 Feature: 1. Non Toxic & safe (Co..